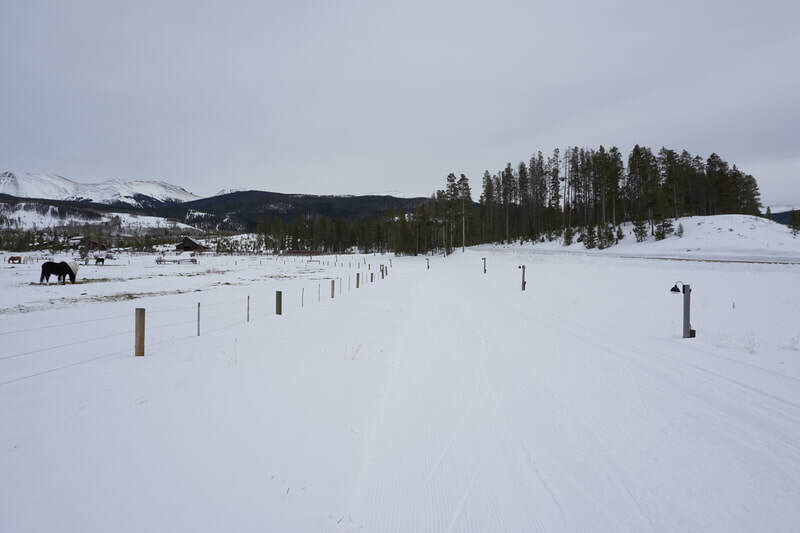 DIRECTIONS: From Winter Park head north on U.S. 40 through Fraser. 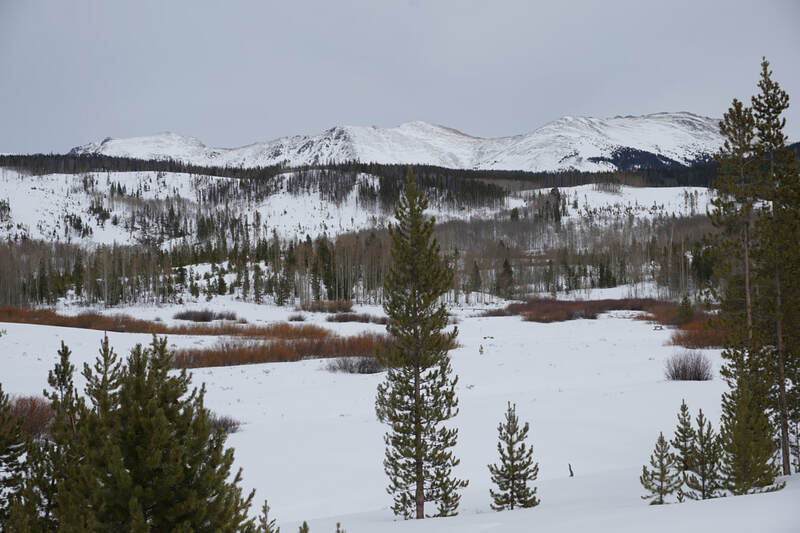 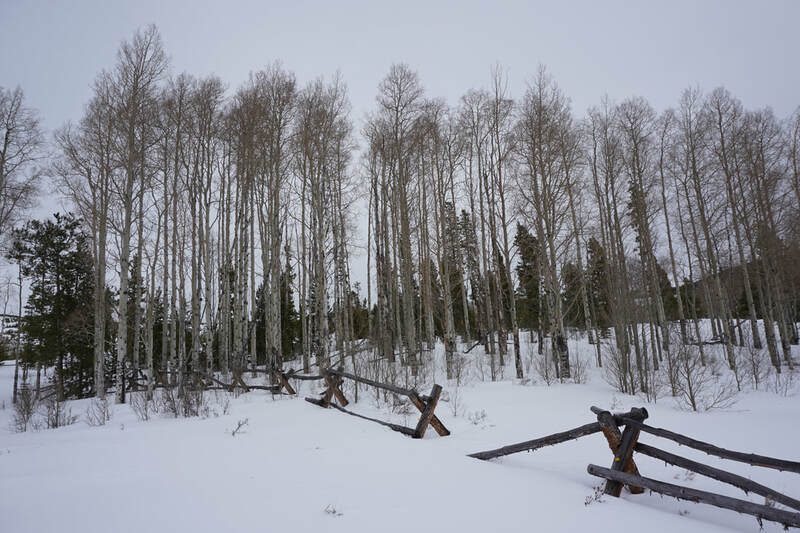 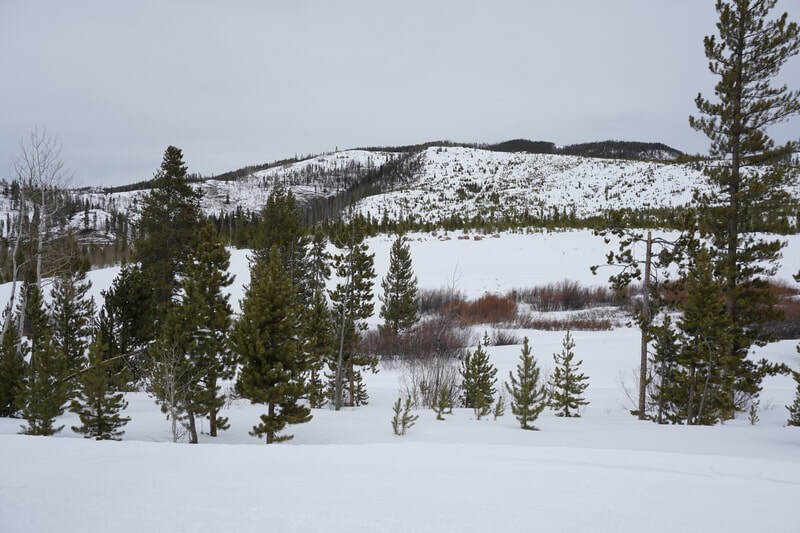 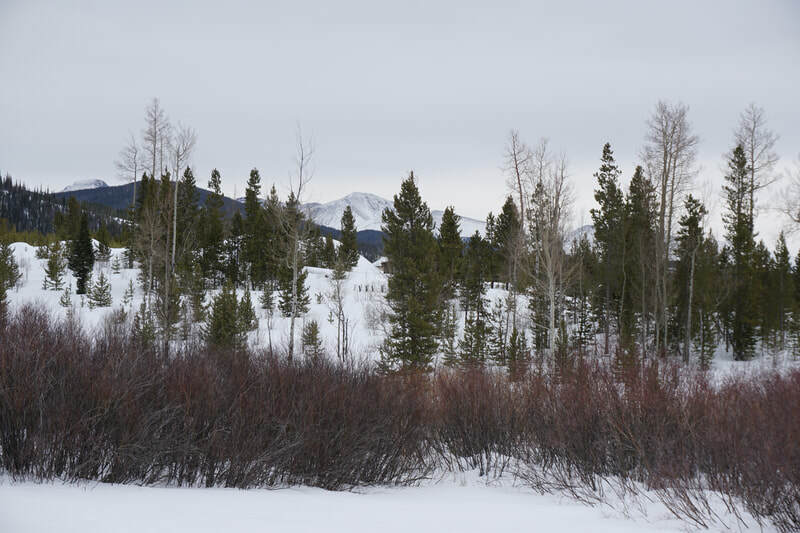 Look for signs to Devil's Thumb Ranch and turn right (east) on 83, a good dirt road well packed with snow in the winter. 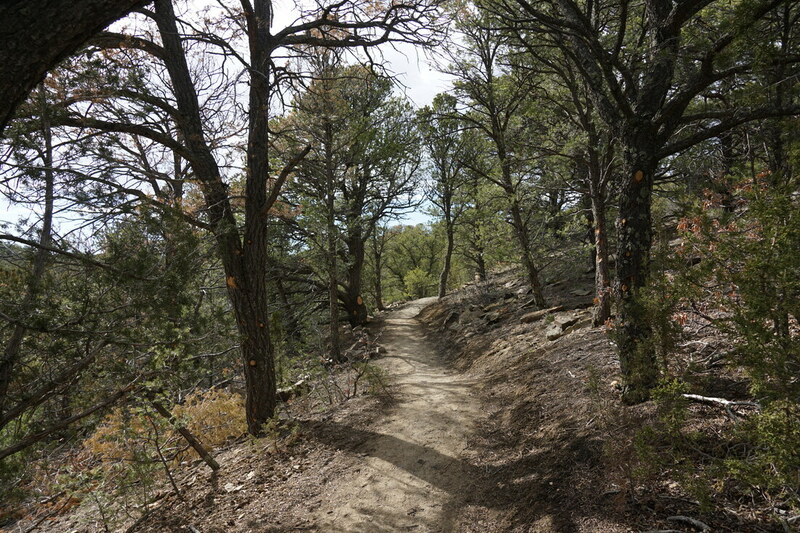 At the first fork in the road, bear right and continue for about 3 miles to the ranch. 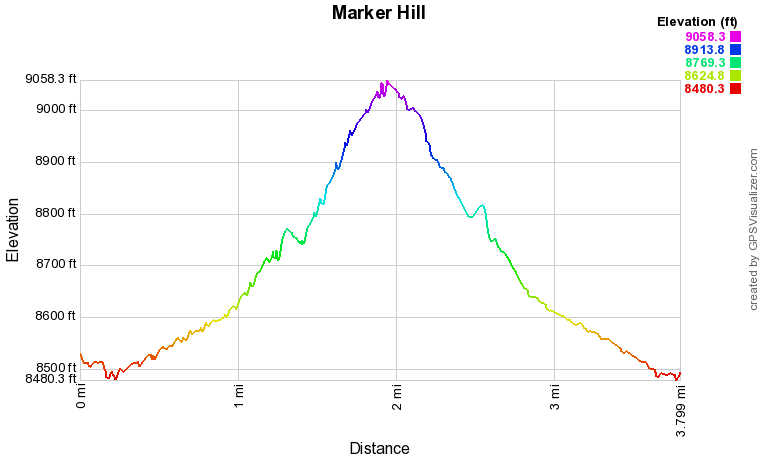 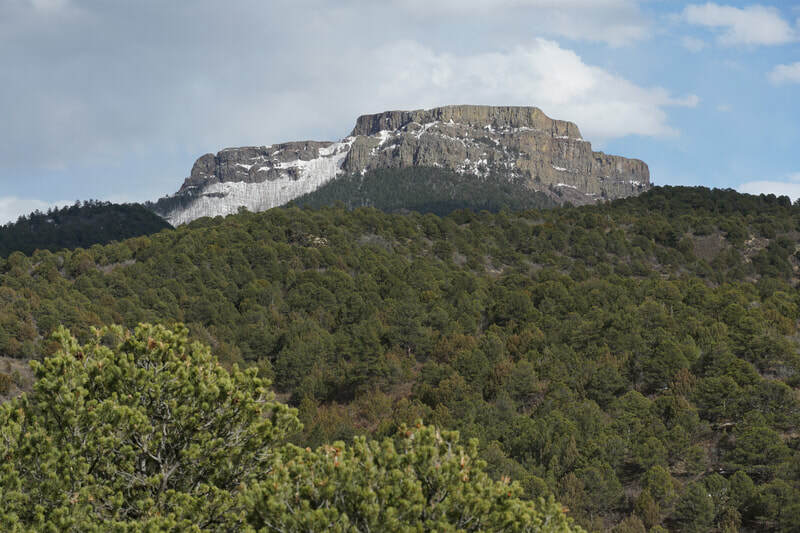 Marker Hill is a small summit (about 9,000 ft in elevation) with a tremendous view. 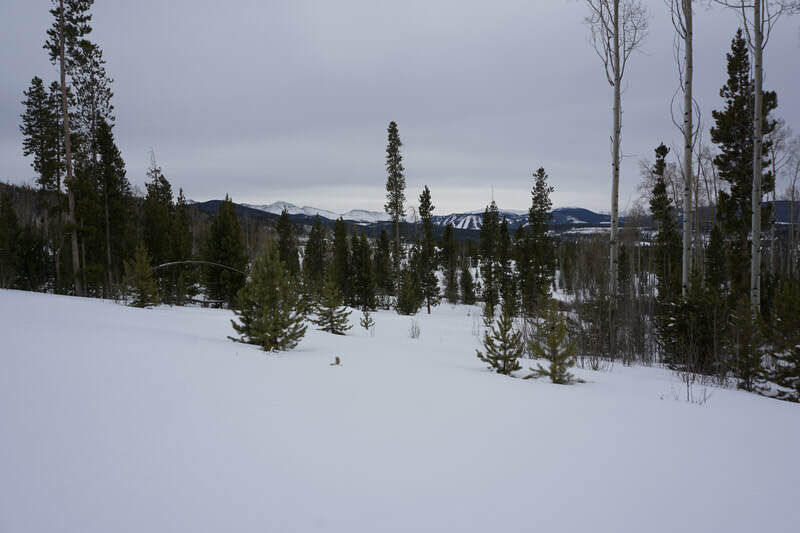 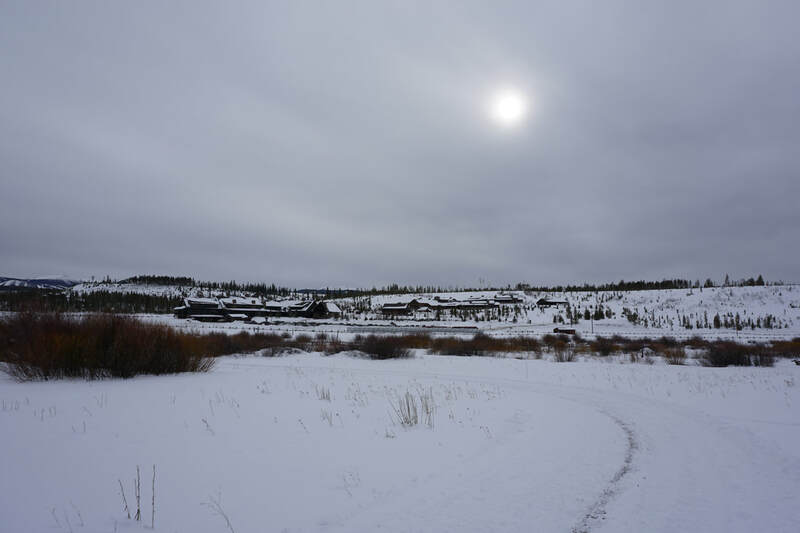 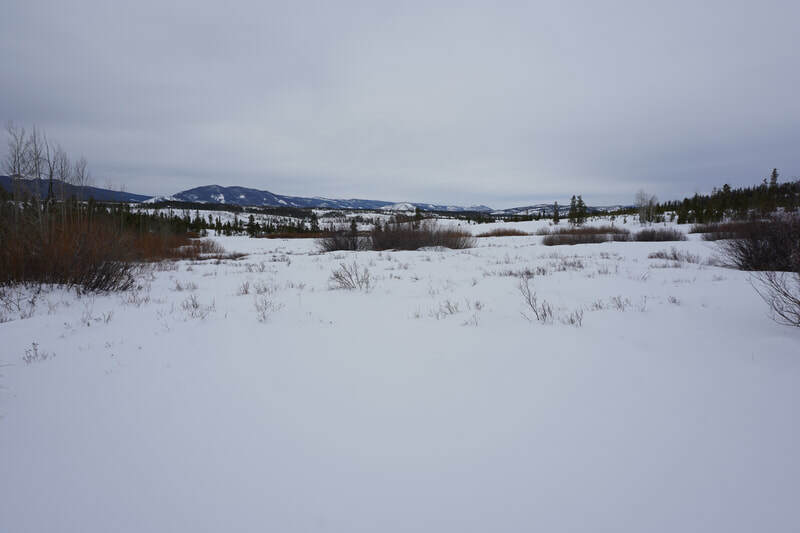 The hill is located within the Devil's Thumb Ranch resort and, in winter, is accessed via the Moosestomp snowshoe trail. 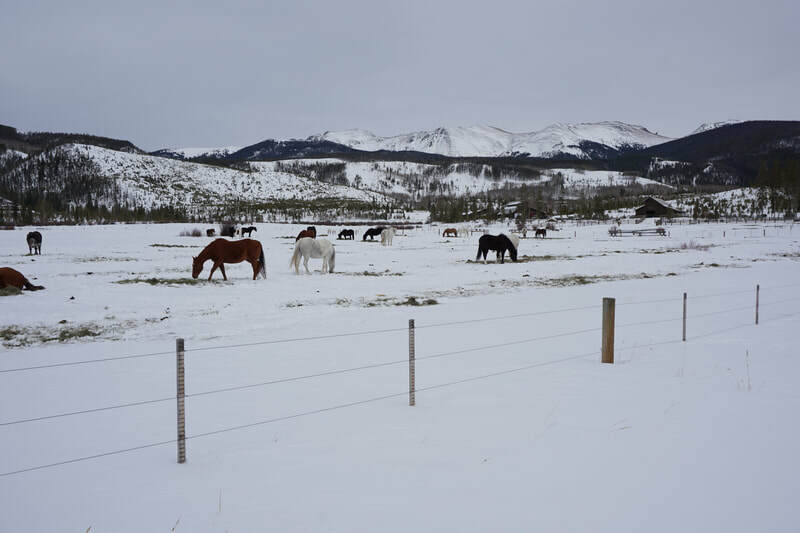 Devil's Thumb Ranch is a private resort and a winter visit has become a family tradition over the last few years. 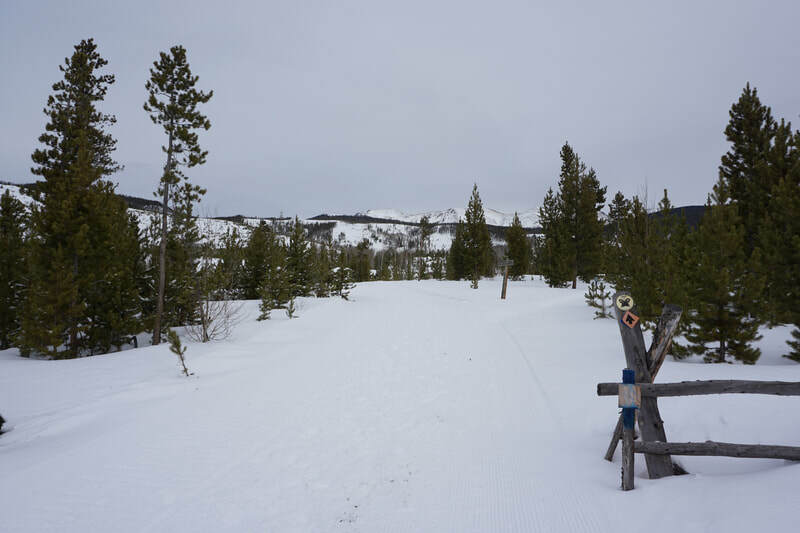 The resort has groomed nordic ski trails, fat tire bike trails, a spa, restaurant, and of course, two snowshoe trails. The trail to Marker Hill is the more substantial of the two trails and surely worth a visit. 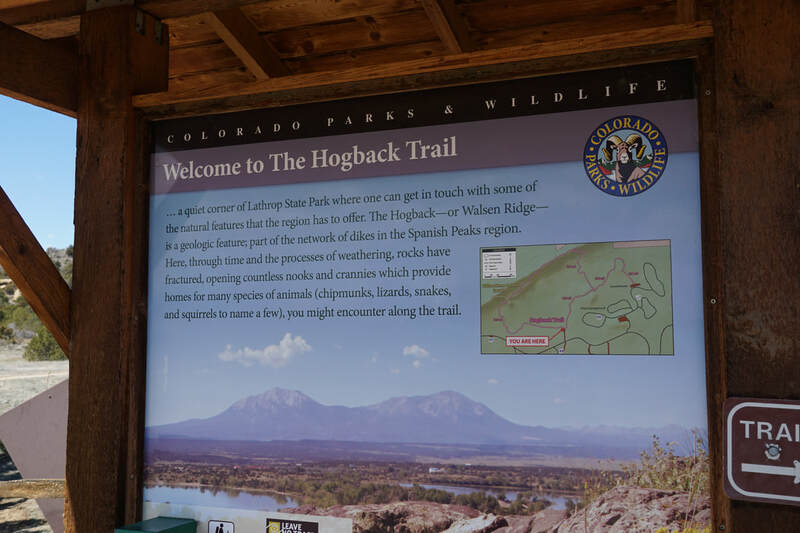 Your visit should start at the equipment rental office where you can pick up a map, rent equipment, and pay your use fee. On my last visit they did not charge for snowshoeing, just nordic skiing. 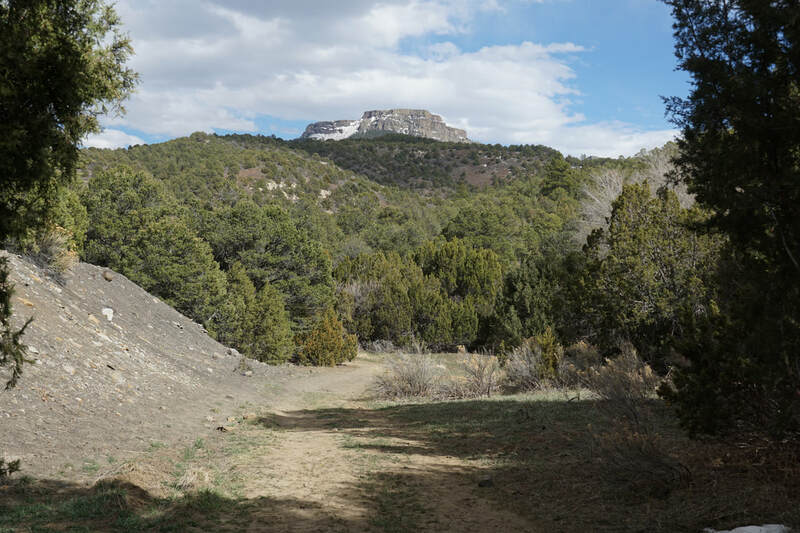 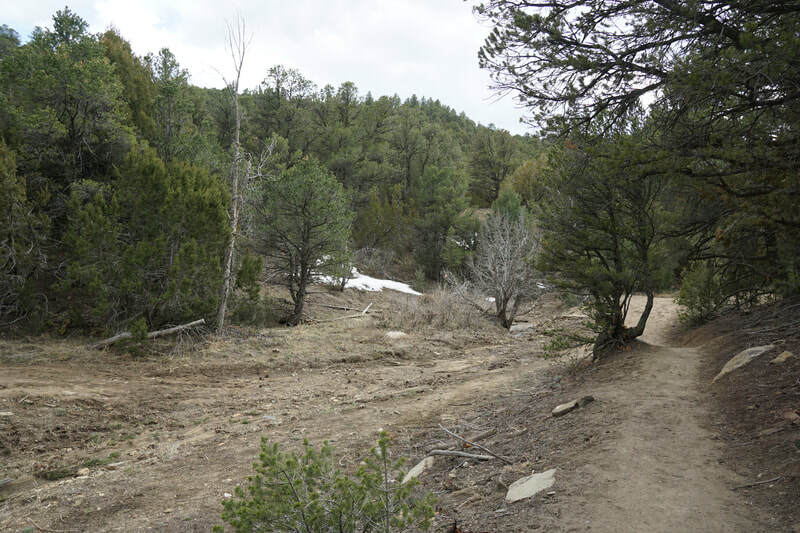 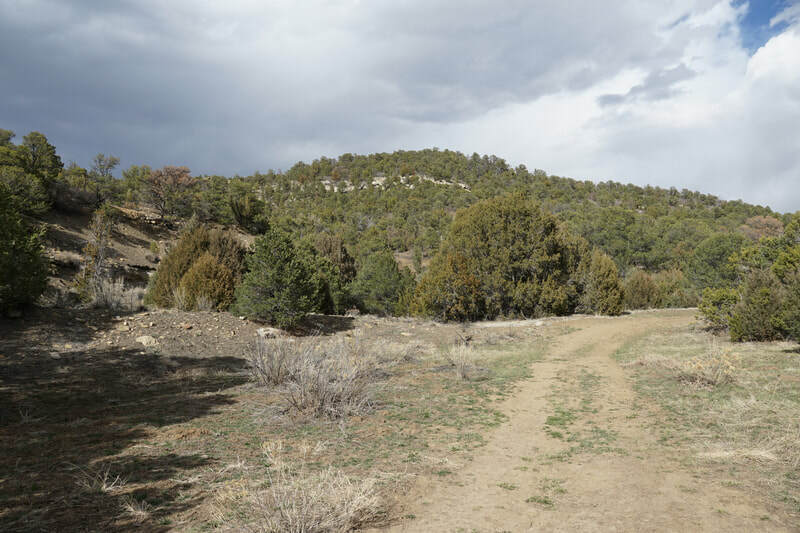 Although the ranch has a detailed trail map, it will not help you all that much as the alignment of the trail system does not seem to exactly match the map. 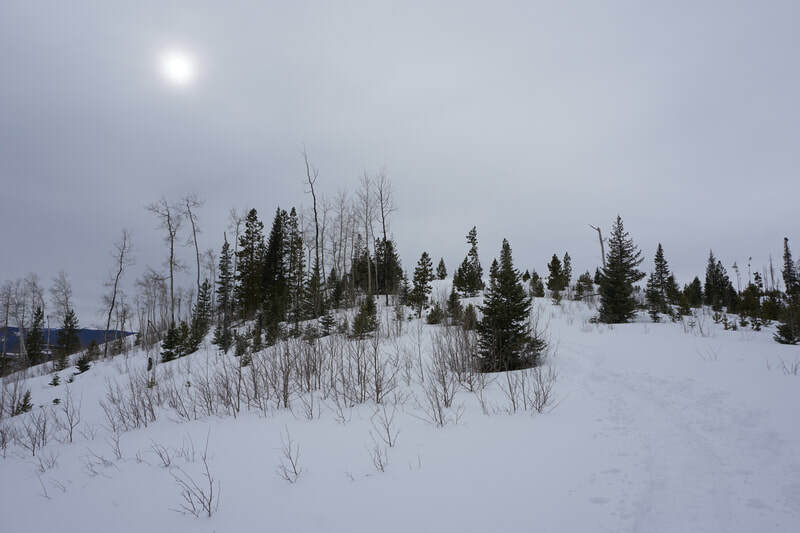 Also, while detailed on the map, there are no "Moosestomp Trail" signs along the trail. That being said, finding your way shouldn't be too difficult. The trail starts along the "Sleigh Trail" which is well signed, but not on the map. From the main visitor parking lot, head down the paved road towards the stables and look for the gate and wide trail off to the left. 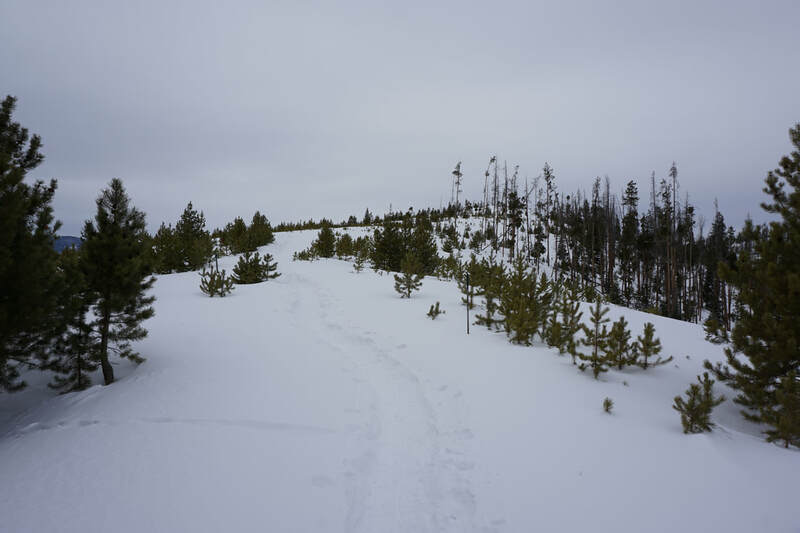 This is the Sleigh Trail and there should be a sign. Follow the Sleigh Trail all the way to the stables and to the point where multiple trails and roads converge. 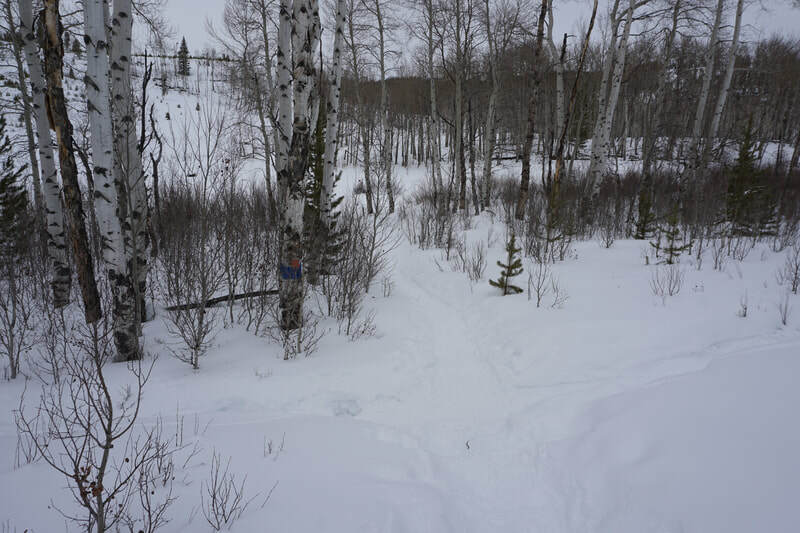 Straight and to the left you should see the first of the small blue snowshoe trail signs (cartoon etching). 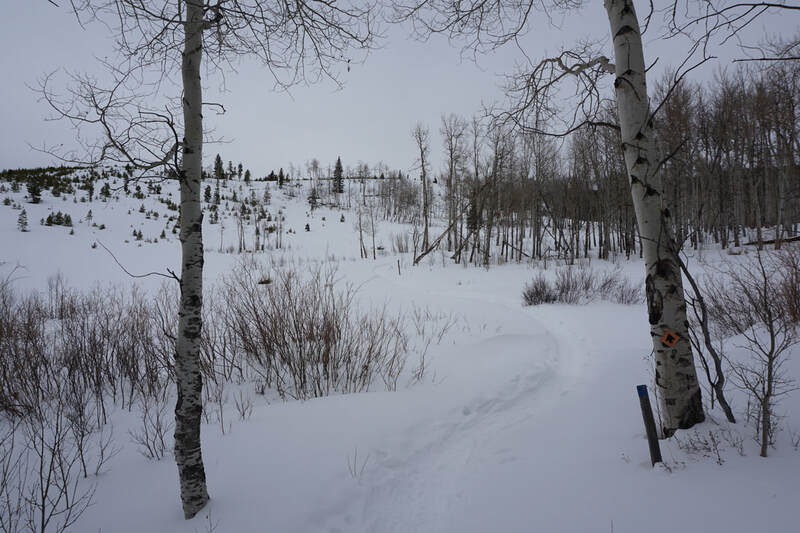 From here on, follow the signs or blue markers and blazes to stay on the snowshoe trail. The easiest way to follow the trail is to simply follow the trench established by previous hikers. 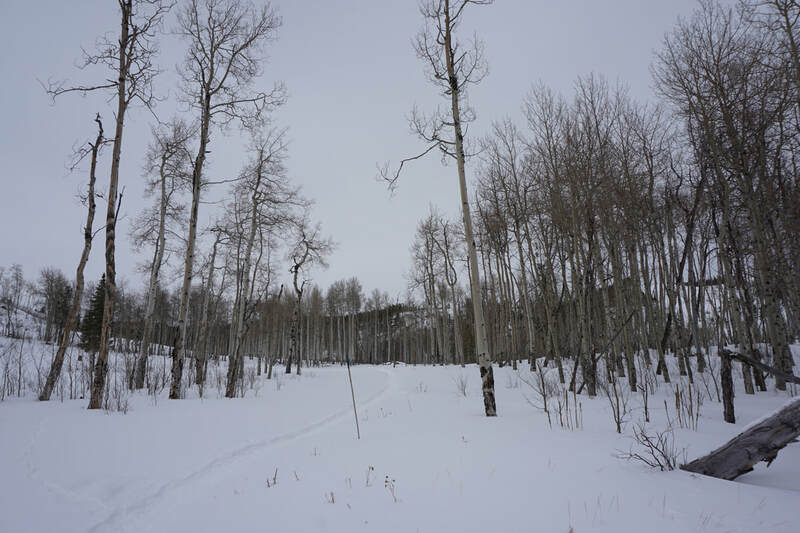 The trail will cross multiple groomed nordic tracks along the way but stay on the trenched trail when you can. In some spots you need to follow the groomed trails for a very short distance until you find the trench again. 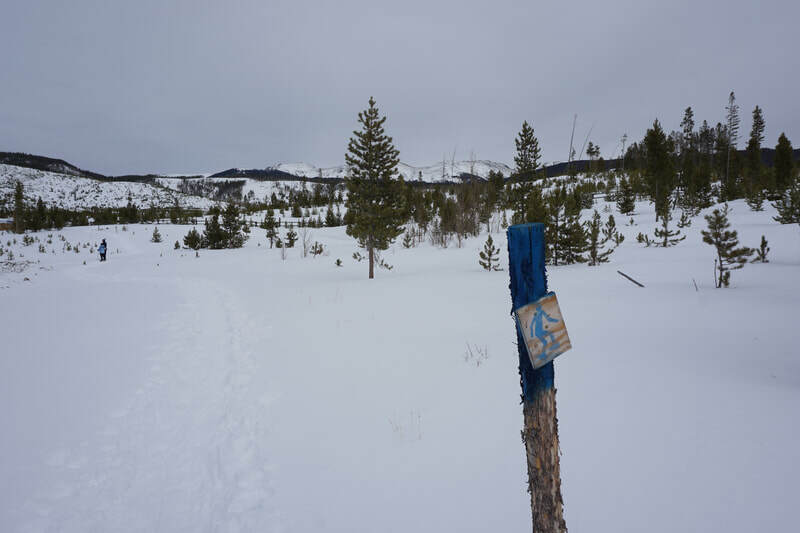 Keep looking for the signs and blue markers. 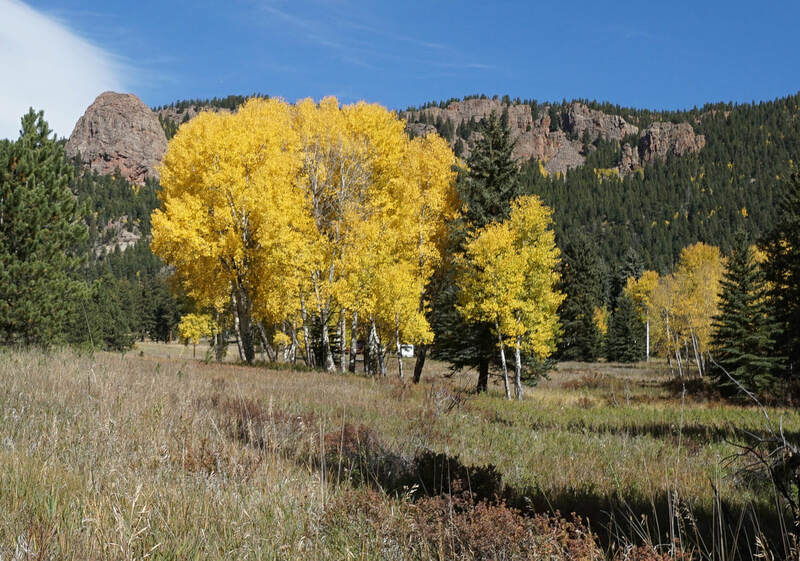 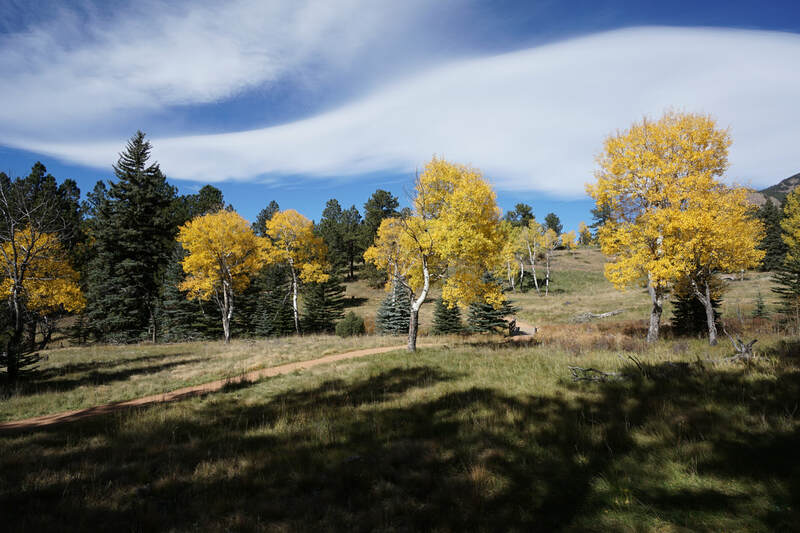 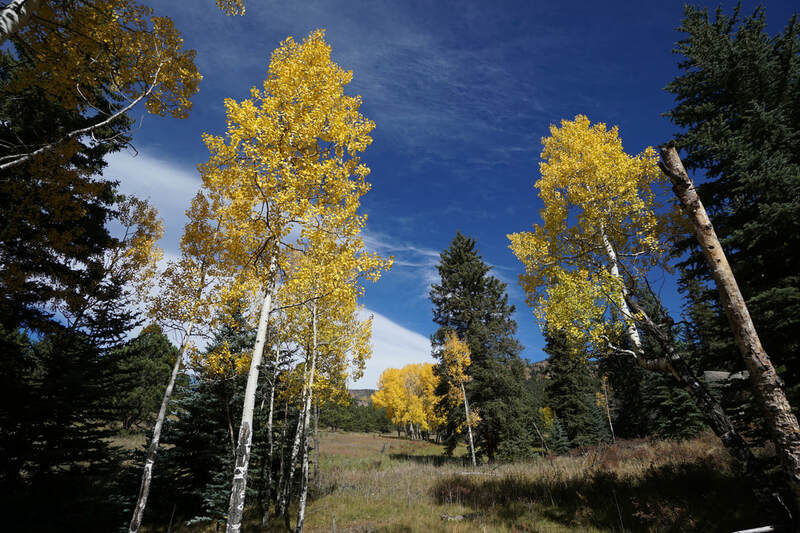 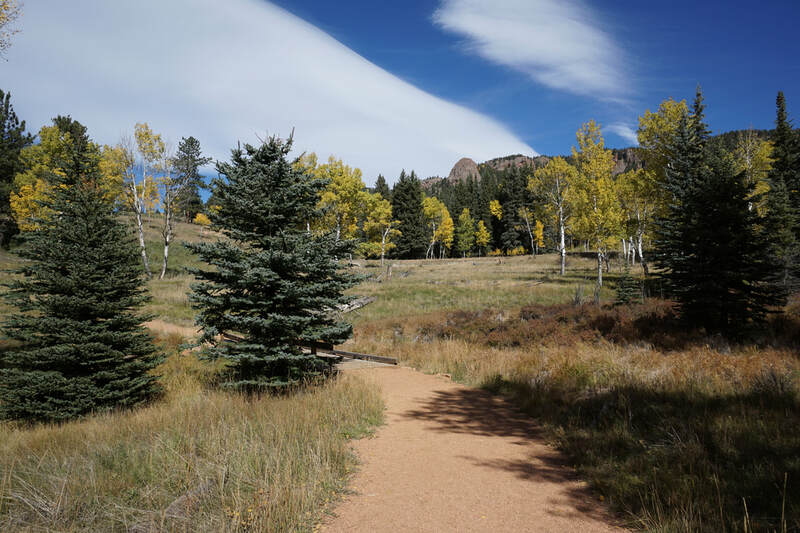 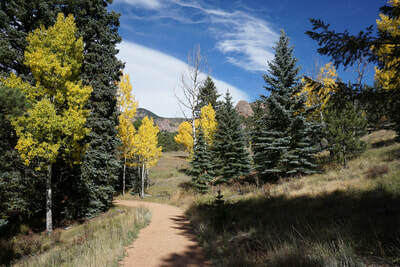 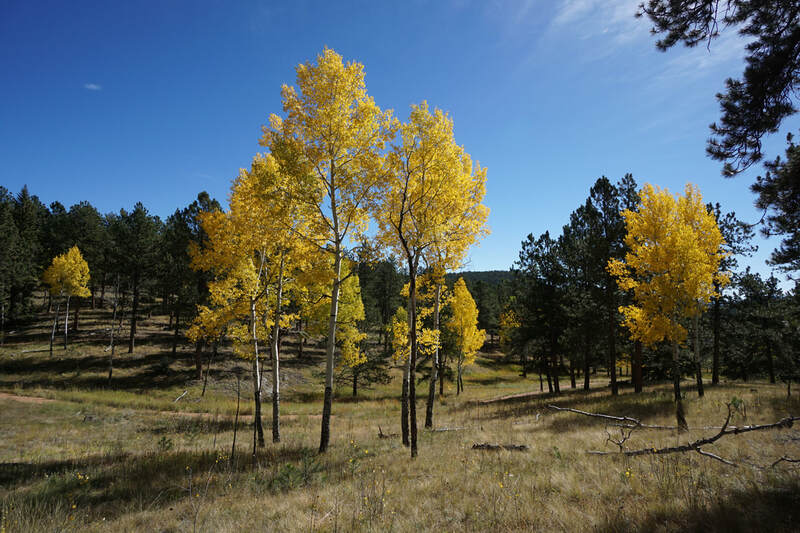 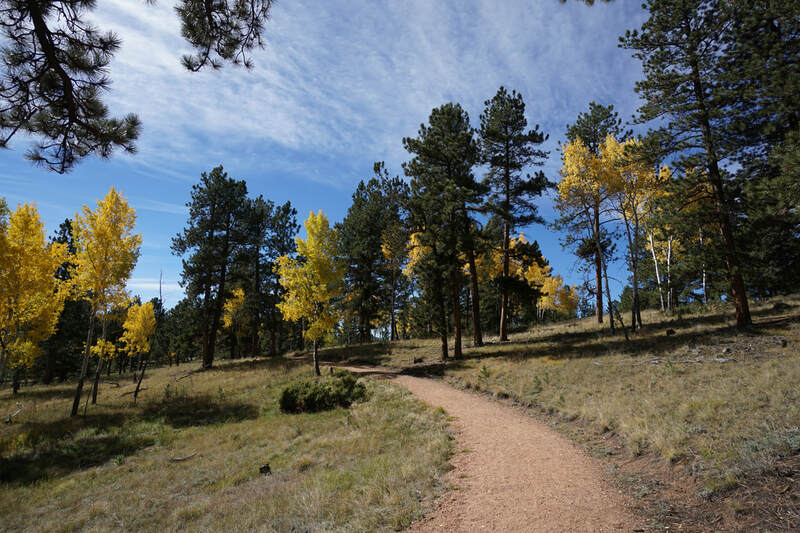 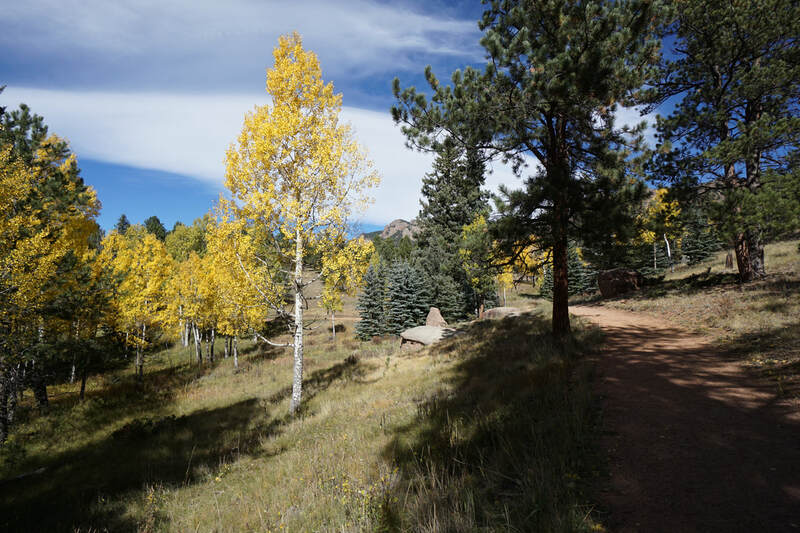 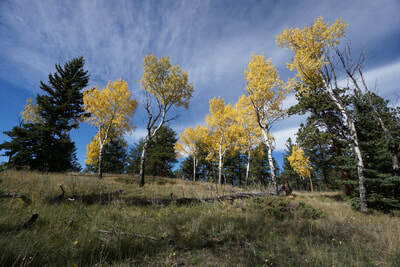 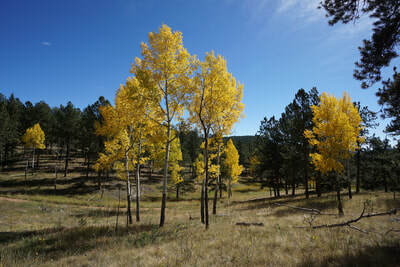 Eventually, the trail will lead you over a small hill and down to the base of Marker Hill nestled among aspen trees. 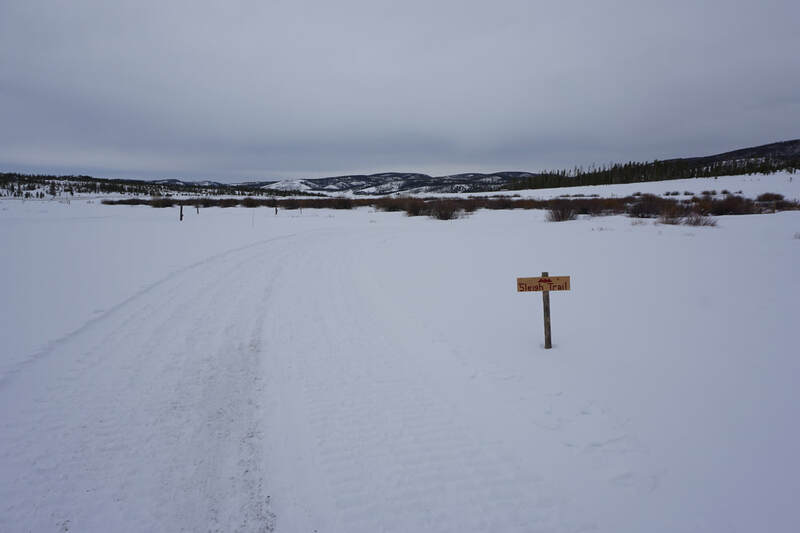 At the 4 way junction, look for the orange trail markers. Follow the orange markers as they lead up the eastern slopes of Marker Hill to a saddle with a trail sign for the Marker Hill Overlook. 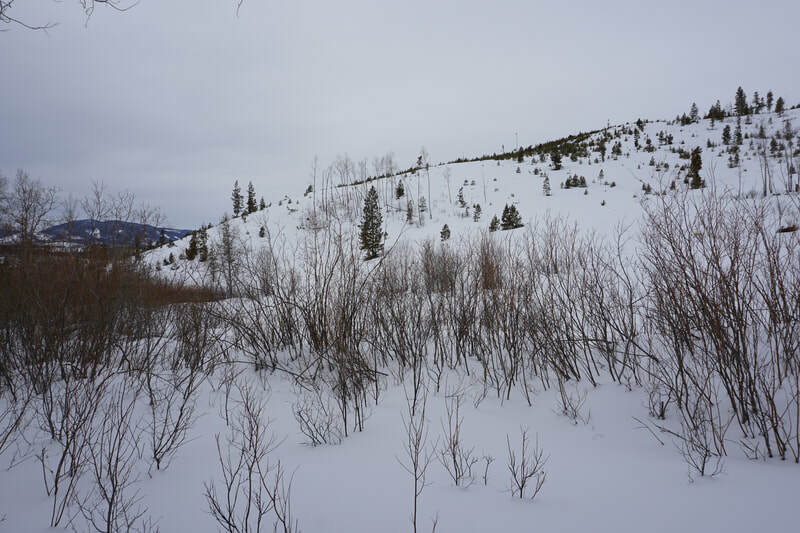 Head up hill along a steep section to a false summit and a broad ridge that leads you to the actual summit. 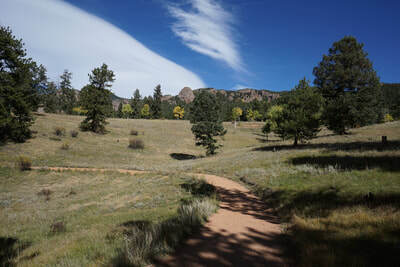 You'll know the summit by the large boulder, blue trail marker, and the end of the trench. 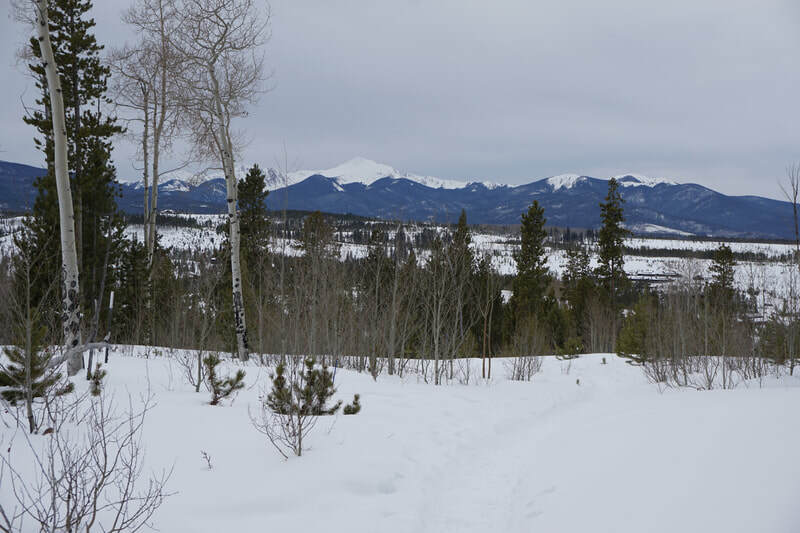 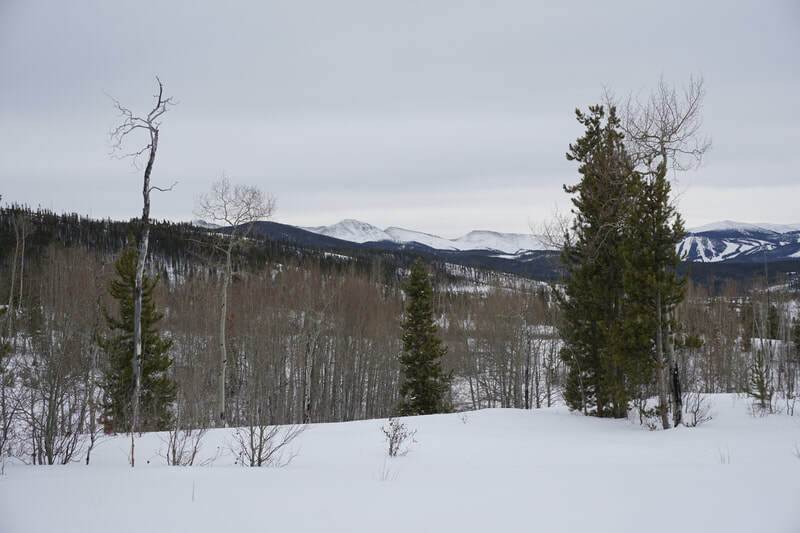 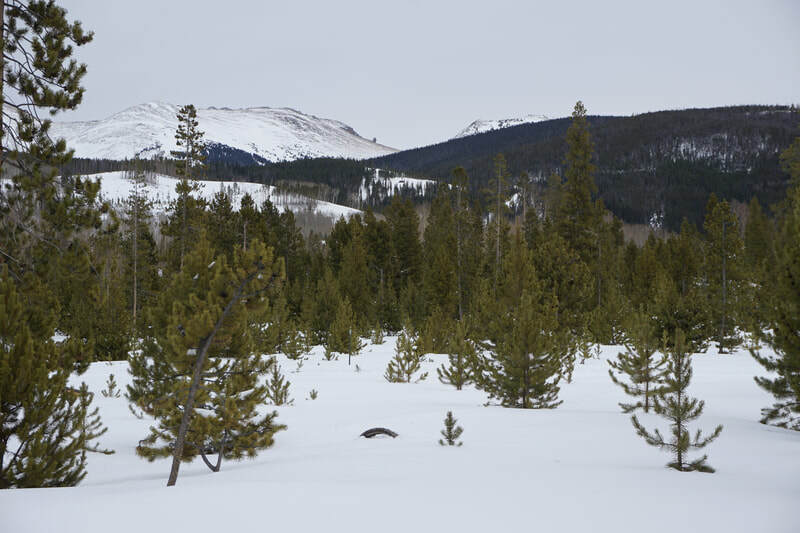 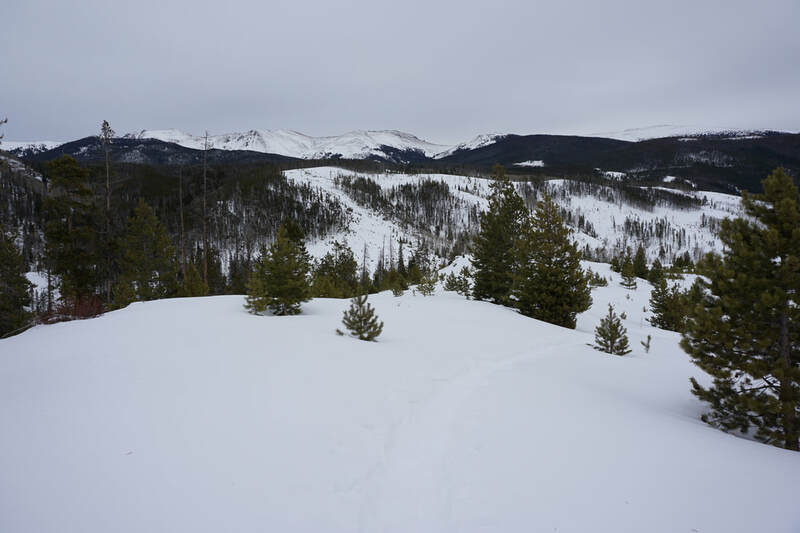 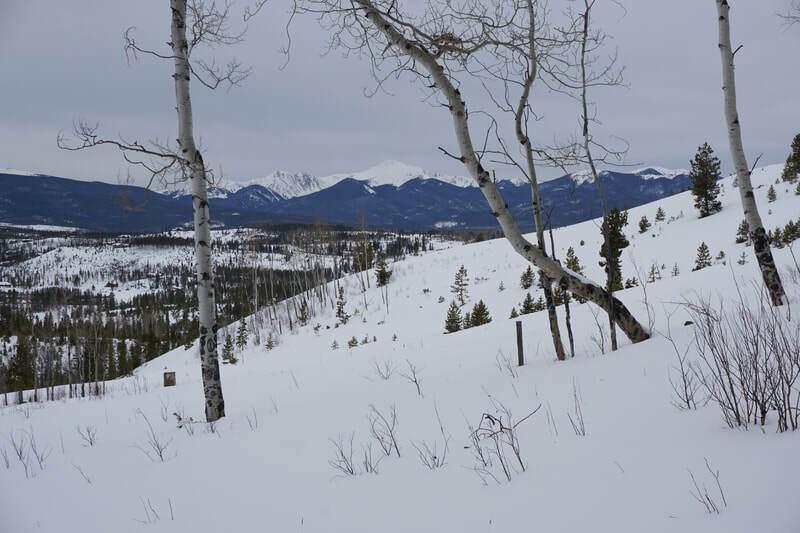 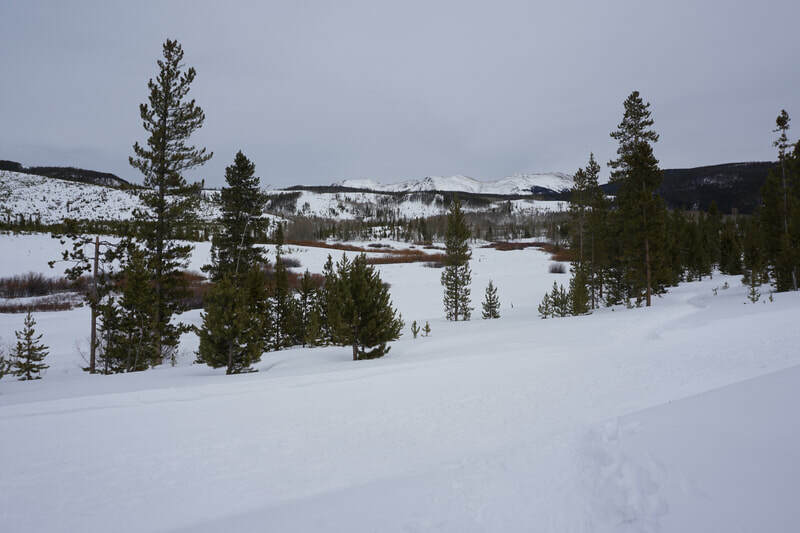 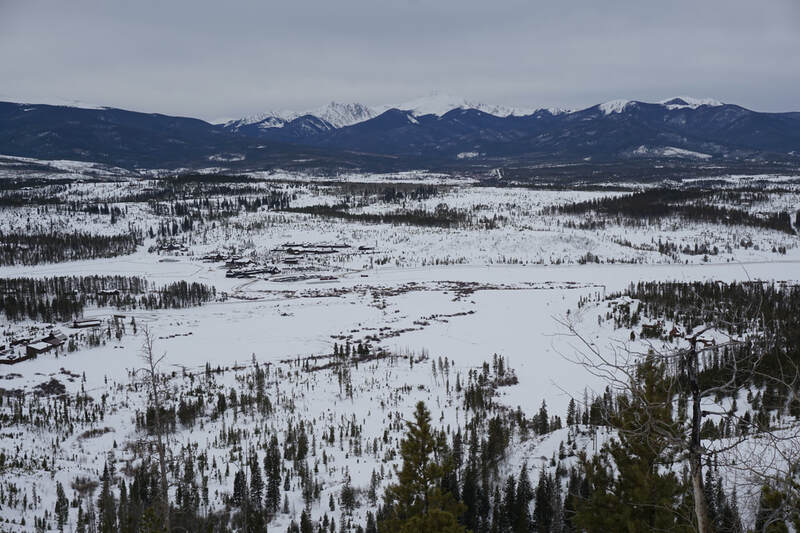 The views from the summit are stupendous and include: Byers Peak rising across the valley to the west, the winter park ski resort to the north, James Peak, and the Indian Peaks (including Devils' Thumb Pass and the iconic Devil's Thumb itself) to the east. 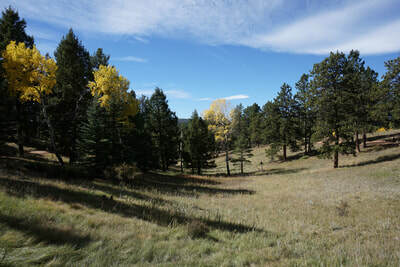 You are also looking down on Devil's Thumb Ranch which is a rare sight.